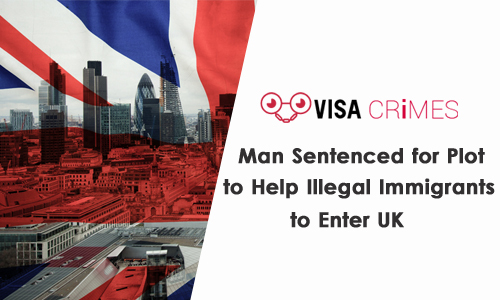 On Tuesday 29 January, a Salford man who partook in a contemptible plan of smuggling illegal immigrants into the United Kingdom was given a five-year sentence at Manchester Crown Court. A gang of criminals plotted a smuggling plan for illegal immigrants with the hope of getting £4,000 per person helped into the UK. During an undercover operation by the National Crime Agency (NCA), Mark Minister, 47 – the Salford man – who played the role of middleman for the gang was caught. In 2017, NCA officers unmasked the smuggling scheme planned by the gang who were in alliance with a Chinese handler. Subsequently, both Anthony Corkovic, 28 and Scott Downie, 31 – who are also from Salford – were sentenced in October of 2017 for their roles in the plot. An officer of National Crime Agency(NCA) disguised as the driver of an HGV known as ‘Charlie’ and showed the willingness to help the group by smuggling people in his truck. They made plans for Charlie to bring in 10 people from Belgium in May 2017, but the plan was not successful as the handler called off the journey stating his criminal record in Belgium as the reason. After this, both Downie and Corkovic were players in another conspiracy to smuggle immigrants into the country. They were caught and pleaded guilty in court which landed them seven years behind bars each. Jez Hope, a senior investigating officer of NCA said the agency is always doing all it can to stop smuggling people into the UK. He said the agency frowns at treating people like commodities without regard for their safety. He emphasized the need for international law enforcement to work together and share intelligence because organized immigration crime is exclusive to any border.